Last year, I had some of the most difficult students that I've ever taught. I wrote about it HERE. I got through it, and so did they. In order to do so, I had to target very specific, undesirable behaviors from individual students and approach it with behavior contracts. Believe me, I tried targeting positive behaviors first, and that was not effective under those circumstances. I've encountered something different this year. My students are very nice across the board and overall, a pleasure to teach. But one of my classes is more crowded than it probably should be and full of larger-than-life personalities, including a large portion of the JV football team. Oh, my, those guys are not interested in sitting still. If you read my blog often, then you know that I do lecture, but that I try to keep it down to the bare minimum and offer activities that involve getting up and getting active. That's how the kids learn, and that's the goal. But when I'm talking, I need them to listen. When I turn them loose to work on their Chromebooks, I need them to work. Me, passionately lecturing about absolute rulers in Europe. In my periphery, Student A gets up to throw something away. Student C giggles into Student D's ear, as Student E says, "Go back a slide, I missed the last part." Well, Student E, you missed the last part because you were distracted by Student A's walking across the room and Students' C and D talking, not to mention my HILARIOUS response to Student B. And....that's not fair to you. So sorry--my bad. So--what to do when the kids are nice, generally cooperative, but just not quite doing what they should be? That is the perfect opportunity to target those positive behaviors that they generally display. There are all kinds of apps and programs out there to help organize all of this, and I love using technology in the classroom, but when it comes to management, I have found that I prefer simple, to-the-point, and low-tech. Have a candid discussion with them. Say something like, "This is a great class, and I really enjoy you all, but we get distracted a lot. That wastes our time. When our time is wasted, we're not learning, and learning is why we are here." Ask them what behaviors they should be displaying to make the best use of their time. They may say things like, "Listening...Staying in our seats unless we're supposed to be up...Being respectful of each other...Taking turns to talk...Being on the right website(s)...Doing our work...Keeping cell phones put away...etc." As they speak, write these things on the board. Then create a class contract that begins with something like. "I agree to do the following...."
Acknowledge when they are doing right. For years, I was opposed to rewarding students for behaving appropriately. That's what they're supposed to do. Their desire to do right should be intrinsic. But many things should be that aren't. And with that logic, it would also stand to reason that we should not have consequences for negative behaviors. But we do. We must. Consequences--both positive and negative--are a part of life. Many of our students are desperate for attention. If the only attention they can get comes from negative behaviors, then not offering reinforcement for positive behaviors will encourage misbehavior among a portion of our students. 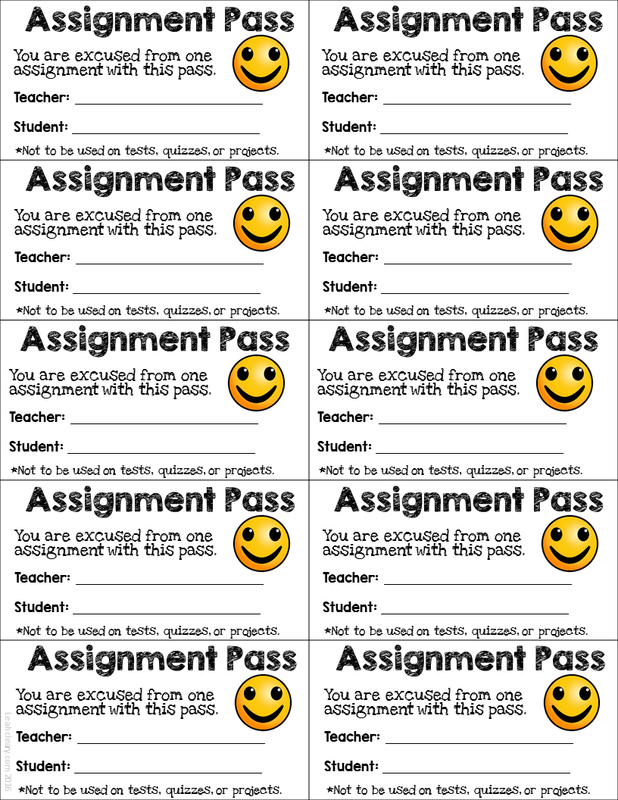 Rewards can be as simple as a call home when a student is doing right. Something I've seen teachers do that seems pretty effective is to give students a raffle ticket randomly when they are doing right. At the end of the week, they have a drawing, and a certain number of students win a small prize. I'll probably try that at some point because I like the immediate acknowledgement of a ticket and the anticipation of a raffle, but what I'm doing now is tied into my class contract. After I list the behaviors that the students and I came up with, I write, "If I ever fail to honor this agreement, the consequence will be a strike. Three strikes in a week will result in a phone call home, etc." I print a roster and don't say anything, but I put a mark by students' names for a strike. They usually think about it and know right away that they've gotten one. Keep in mind that the behaviors that I'm dealing with this semester are mostly distracting, not dangerous or disrespectful, so they start each week with a clean slate. If they make it to the end of the week with no strikes, I spin a virtual wheel (I LOVE these wheels and use them all the time in my classes--find them here, just be sure to create a free account so you can save your wheels). I put each student's name on it, and whoever the spinner lands on gets an assignment pass. Then I give everyone who didn't get a strike a small prize like a piece of candy or a mechanical pencil (these are seriously coveted). 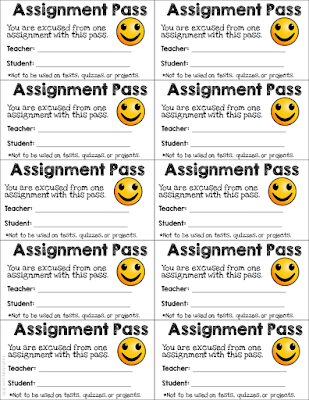 They get really excited about the assignment pass, even though it's not good for tests, quizzes, or projects. 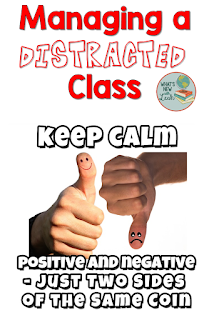 How do you manage "distracted" classes? Leave a comment below, and let me know.